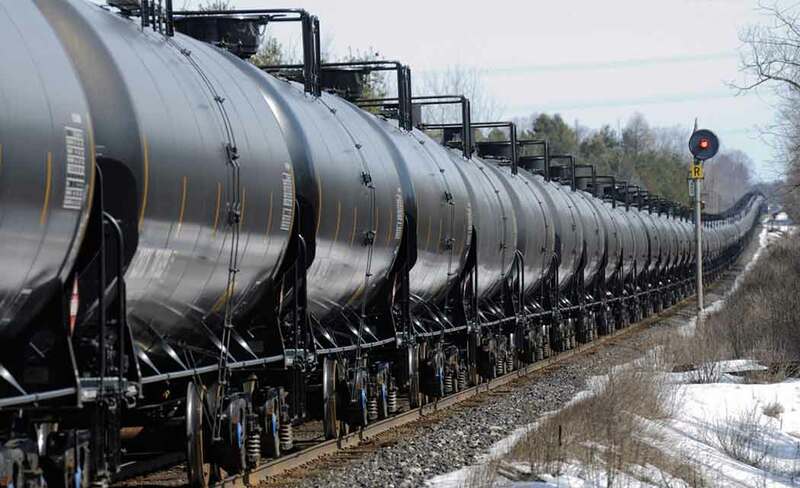 SPOKANE, Wash. (AP) _ Federal investigators say a leaking oil train that hauled crude oil from North Dakota to Washington in January had tank cars with faulty valves, which also are installed on thousands of tank cars nationwide. A federal directive in March ordered the valves replaced, citing an “immediate safety issue” linked to a design flaw. The Federal Railroad Administration investigated the 100-car BNSF train because it had to have 14 cars with slow leaks removed after traveling across Montana and Idaho to a Washington refinery, the Spokesman Review reported (http://bit.ly/1OP7PEF ). The first leak was discovered Jan. 12, when crew members spotted an oil sheen on the side of a single tank car at the Hauser refueling depot about 20 miles east of Spokane. An additional 13 tank cars were found to be leaking and were removed during stops in Vancouver and in Auburn, south of Seattle. Two more leaking cars were discovered after the train arrived at the Anacortes refinery. BNSF Railway said less than 25 gallons of crude oil was released through the valves on the top of the cars. Another tank car with a leaking valve was discovered at a BNSF rail yard Jan. 15 in Denver. That car was carrying flammable mineral spirits. The federal rail agency tested the valves sold by McKenzie Valve and Machining of Tennessee and concluded that a design flaw created problems with the seal. In late March, the agency issued a directive to tank car owners to replace the valves. The tank cars can’t be used until replacement valves are installed. The agency estimates about 6,000 tank cars nationwide are equipped with the faulty valves. The agency also directed tank car owners to replace two other McKenzie valves in use, which officials determined did not have federal approval for tank cars. More than 37,000 of the other valves were sold to tank car owners and repair facilities. It’s unclear whether the valve replacement will create delays for shipments of crude oil or other hazardous materials. The American Association of Railroads and the American Petroleum Institute declined to comment Friday. Jeff Prunty, McKenzie Valve’s general manager, said he didn’t know how long replacing the valves would take. McKenzie Valve is an affiliate of Union Tank Car Co., which is owned by a subsidiary of Berkshire Hathaway. All of the leaking valves were detected on cars owned by Union Tank Car. The leaking valves were on the newer CPC-1232 tank cars, which are built to higher safety standards than the older DOT-111 cars. In Washington, refineries have voluntarily agreed to accept oil shipments only in the newer tank cars, said Jason Lewis, a transportation policy adviser for the state Utilities and Transportation Commission.